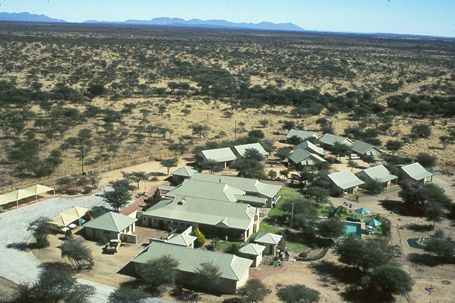 Otjibamba Lodge is a popular stopover on the way to northern Namibia and Etosha. 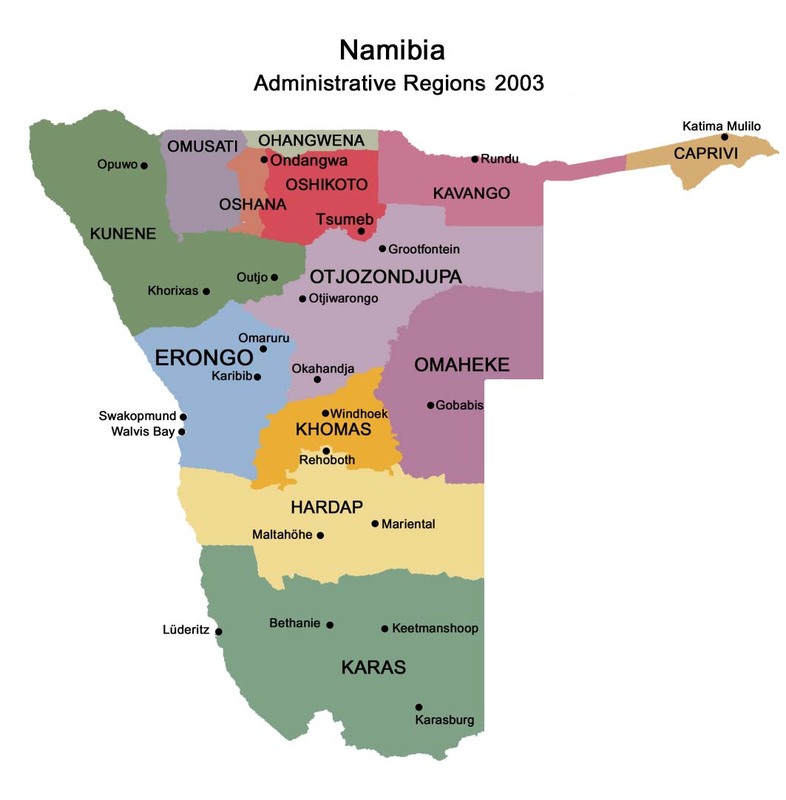 The Lodge is situated 4 km south of to wn Otjiwarongo and 800 m from the main B1 road which runs from Windhoek to Outjo. Otjibamba is tastefully designed in an afro-colonial style. Rooms are laid out as air-conditioned chalets, which offer privacy, space and comfort. 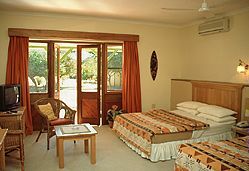 Each double room has two double beds, en-suite bathroom with WC, bath and shower, desk, comfortable chairs and a veranda overlooking the bushveld. All rooms have telephone and TV facilities. Parking directly in front of the rooms. Well-kept garden and large swimming pool. 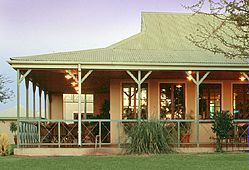 Bar and superb cuisine served in the A-La-Carte-Restaurant. Otjibamba nestles within its own private game ranch which harbours game species such as giraffe, zebra, eland, Oryx, kudu, ostrich and others. Visitors can either drive through the park or explore one of the marked walking trails. 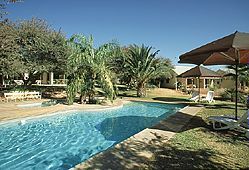 Otjibamba is the ideal place to relax for a day or two. 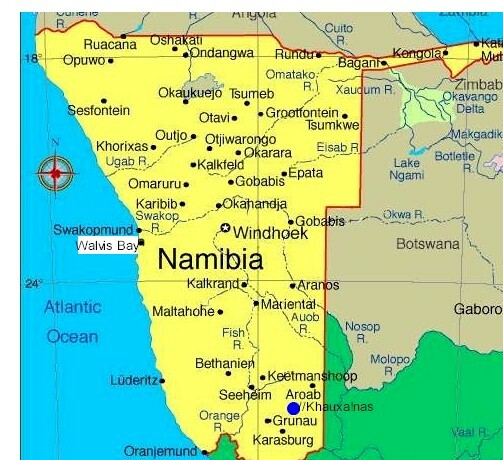 Rates are very affordable and family-friendly. Excellent value for money.